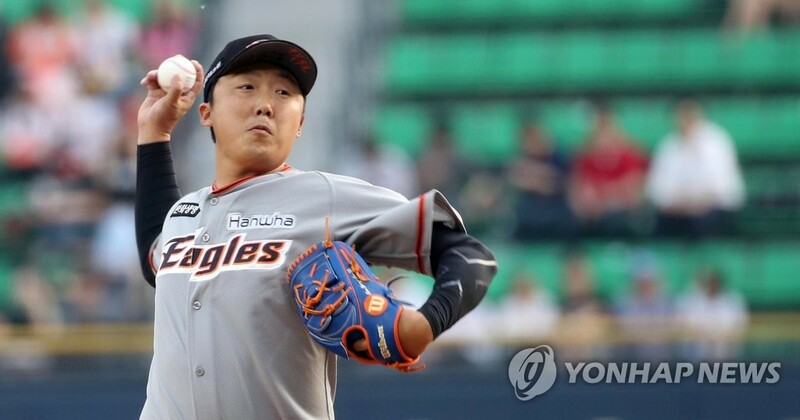 SEOUL, Nov. 30 (Yonhap) — Bae Young-soo, the wins leader among all active pitchers in South Korean baseball, has found a new home. 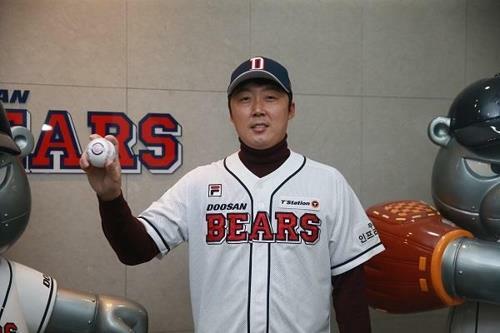 The 37-year-old right-hander signed a one-year deal worth 100 million won (US$89,300) with the Doosan Bears on Friday. The Korea Baseball Organization (KBO) club said Bae, who has 137 career victories, can be a useful asset either in the starting rotation or in the bullpen, thanks to his experience and his ability to command many different pitches. Bae was drafted by the Samsung Lions out of high school in 2000 and remained with the club until 2014. He then signed with the Hanwha Eagles as a free agent before the 2015 season. While with the Lions, Bae won seven Korean Series championships and was voted the regular season MVP in 2004, when he was 17-2 with a 2.61 ERA in 35 games. He began that year in the bullpen but moved into the rotation in late April, and ended up leading the league in complete games with four. Injuries have slowed him down in recent years. In 2018, Bae was limited to 11 appearances and 55 2/3 innings, and posted a 2-3 record with a 6.63 ERA. He made 500 million won this year. The Eagles released him after the season, but the Bears felt Bae had at least another season left in him. On the active wins list, Bae is seven victories ahead of Lim Chang-yong, a 42-year-old reliever cut by the Kia Tigers after the 2018 season. Next in the rankings is Bae’s Doosan teammate Jang Won-jun, who has won 129 games at age 33. After reaching double figures in victories in eight straight seasons, Jangi was only 3-7 with a career-worst 9.92 ERA.